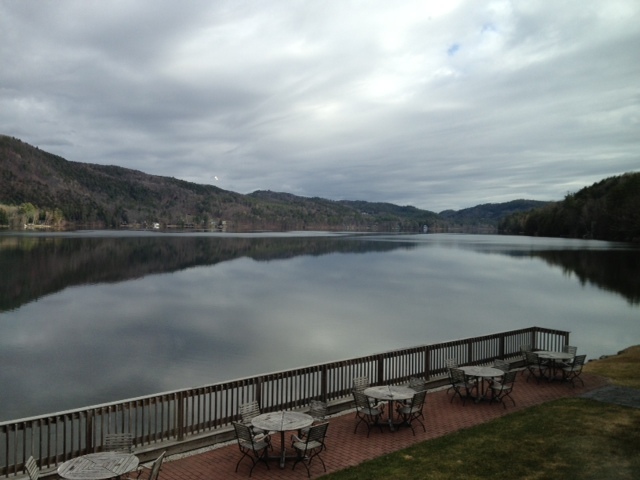 On May 1, I attended the 2015 Dorothy Canfield Fisher (DCF) Award Conference at Lake Morey Resort in Fairlee, Vermont. It was an absolutely gorgeous day and the resort is truly stunning. The DCF Award is one of three book awards in Vermont whose winner is chosen by Vermont students. The Red Clover Book Award features picture books, and the Green Mountain Book Award is for books appropriate for high school students. The DCF Award is the lovely middle child, and grades 4-8 are invited to read at least five of thirty nominated books (selected by a special committee) to be eligible to vote for their favorite title. 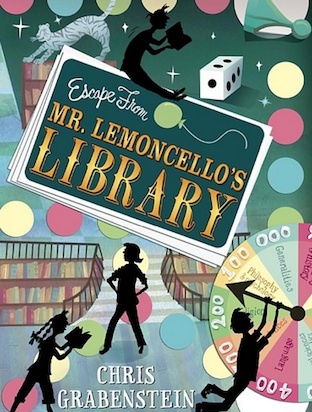 This year’s winner was Escape from Mr. Lemoncello’s Library by Chris Grabenstein. I serve grades K-6, so I have Red Clover and DCF books in my library. I tend to focus more of my energy on DCF books because grades 4-6 are perfectly poised to embrace the competitive side of the award, challenging themselves and each other to read as many books as possible. Nominated books span a variety of genres, including non-fiction, so almost any reader can find something on the list to interest them! The conference is organized by the Vermont Department of Libraries, and this year they brought two incredible speakers for the keynote and endnote addresses. The first activity in the morning was the keynote address, and it was given by Steve Sheinkin, author of several historical non-fiction books for children. 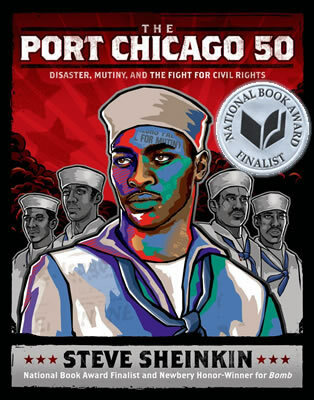 His newest book, The Port Chicago 50, is on the 2015-2016 DCF list, and he spoke to us about how that project came to be. In essence, he worked with an eminent African-American history scholar at Berkeley to recreate the story of fifty African-American sailors in the US Navy who were tried for mutiny in 1944 when they refused to return to work after a ship exploded on their base. The scholar had shared the story in his own book, but Sheinkin worked hard to share the sailors’ stories and make the story accessible to children. Shenkin calls this refusal to work by the sailors an early step in the Civil Rights movement, because the sailors were acknowledging that they were given such an unnecessarily dangerous job because of their skin color. Seeing as how they weren’t even allowed on ships because of segregation…well, they weren’t wrong. I enjoyed Sheinkin’s talk so much, especially because he shared the archival work he did to prepare to write. I am an archives nerd! 🙂 And, he signed my school’s copy of The Port Chicago 50! After Sheinkin’s talk I attended a session during which members of the DCF selection committee shared the nominees from the 2015-2016 list by giving a quick book talk. You can find that list here on the Vermont Department of Libraries’s website. 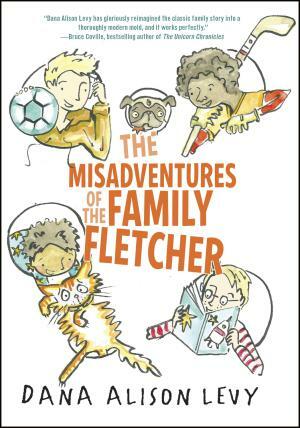 Right now I am reading one of the books from this list, The Misadventures of the Family Fletcher by Dana Alison Levy. Featuring two gay fathers and their four adopted children, the family dynamics are unique but the characters are completely familiar and relatable. I am throughly enjoying it! After lunch I participated in a session in which I learned about some activities that I could do with students that centered around the books on the 2015-2016 list. Those “Rapid To-Dos” will be on the Vermont Department of Libraries site soon, and I will share that when it is posted! I have a paper copy available for anyone who is interested. 1. The setbacks of your life become the most interesting part of your story. 3. Perfectionism is overrated in performance; pushing through is underrated. 4. There’s no anti-bully zone in life. 5. Follow your whims as much as you follow your dreams. 6. Confidence is overrated; courage is underrated. 7. Everyone is always starting over. 8. You never know when you’ll meet the person- or the book- that’ll change your life. As I build my library’s inventory and do activities with my students, I hope to live up to this! I learned so much at this conference and I cannot wait to share these new books with my students. Contact me if you would like to know more about what I learned!